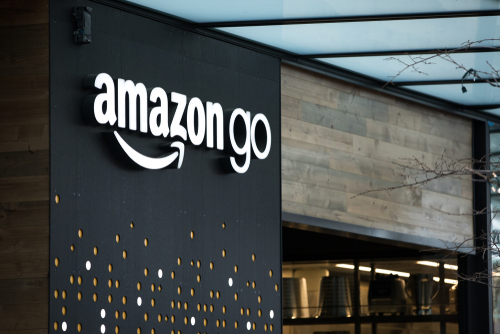 It’s been reported that Amazon has appointed agents to search for up to 200 sites to launch its grocery retail concept ‘Amazon Go’ in the UK. Amazon Go was first launched in Seattle earlier this year. 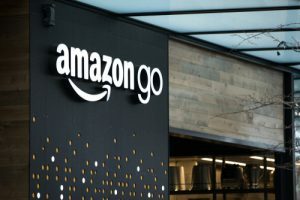 The concept of the store is that there are no cashiers – shoppers download the Amazon Go app and scan their phone when they walk in the store. A combination of shelf sensors and cameras then keep track of any items customers pick up and automatically add them to a virtual basket in the app. When finished shopping, they walk out of the store and payment is made on the app. It has been widely reported that many retailers are struggling recently, so what makes amazon’s concept successful? Experience – As we have discussed on our blog previously, shoppers are looking for an experience when they go to a physical store, rather than shopping online. The Amazon Go concept is innovative, so people want to shop there to experience shopping without having to checkout. Convenience – when grocery shopping, convenience is a big factor for most shoppers, so not having to queue to pay makes shopping for your groceries a lot more convenient. Technology – tech enthusiasts will be intrigued to see how the new technology works as it has never been seen before.